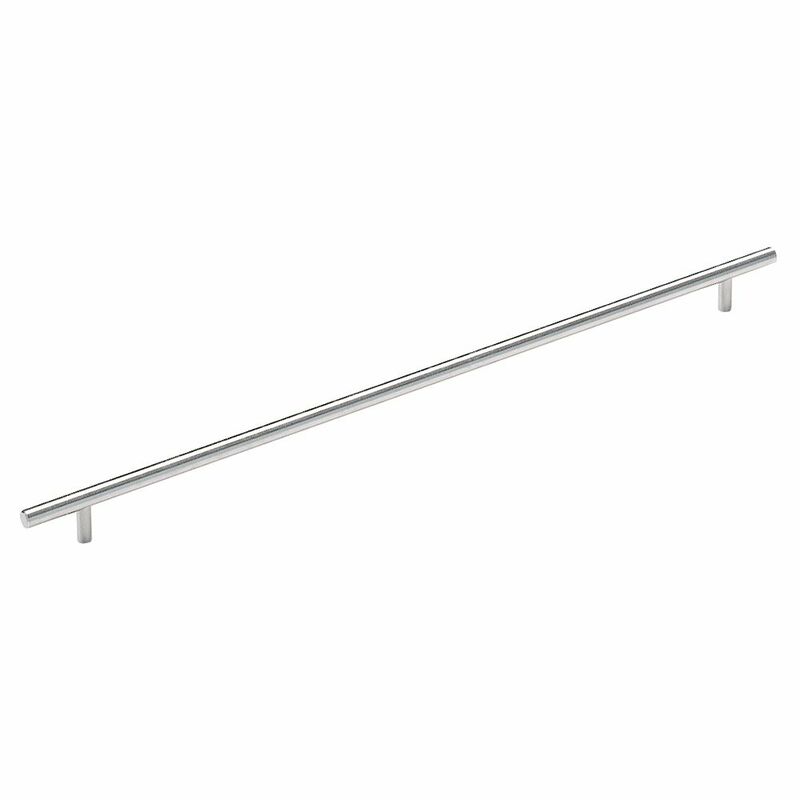 The Amerock BP19016CSG9 Bar Pulls 18-7/8in(480mm) CTC Pull is finished in Sterling Nickel. Modern functionality meets straightforward styling. Simple. Bold. True. The sleek and sophisticated design of the Bar Pulls Collection makes a statement with clean lines and smooth textures. Sterling Nickel is a cool, smooth and metallic silver-toned finish that is timeless and subtle. The Amerock BP55275PN Blackrock 3in(76mm) CTC Pull is finished in Polished Nickel. The BlackRock collection offers sleek simplicity with a contemporary indulgence. This eclectic line boasts bold shapes and sizes. A modern metallic finish, Polished Nickel offers the beauty and luster of sterling silver without the cost or care it takes to maintain. The Amerock BP29349PN Candler 3in(76mm) CTC Pull is finished in Polished Nickel. The Candler collection is distinctively elegant, with strong lines and soft curves that blend a touch of femininity with enduring class and timeless character. A modern metallic finish, Polished Nickel offers the beauty and luster of sterling silver without the cost or care it takes to maintain. The Amerock BP1580WN Inspirations 3in(76mm) CTC Pull is finished in Weathered Nickel. Clean, classic lines in a casual relaxed style, Inspirations is designed to compliment any dicor. Weathered Nickel is a brushed, textured accent that adds dimension to the silver tones of Nickel while accenting the intricacies of each design. The Amerock BP36549PN Wells 5-1/16in(128mm) CTC Pull is finished in Polished Nickel. True elegance never needs to raise its voice, and the Wells Collection captivates without a word. A perfectly balanced silhouette flirts with the angled edges of a gemstone cut. A modern metallic finish, Polished Nickel offers the beauty and luster of sterling silver without the cost or care it takes to maintain. Bar Pulls 18-7/8 Inch (480mm) CTC Pull - Sterling Nickel The Amerock BP19016CSG9 Bar Pulls 18-7/8in(480mm) CTC Pull is finished in Sterling Nickel. Modern functionality meets straightforward styling. Simple. Bold. True. The sleek and sophisticated design of the Bar Pulls Collection makes a statement with clean lines and smooth textures. Sterling Nickel is a cool, smooth and metallic silver-toned finish that is timeless and subtle.